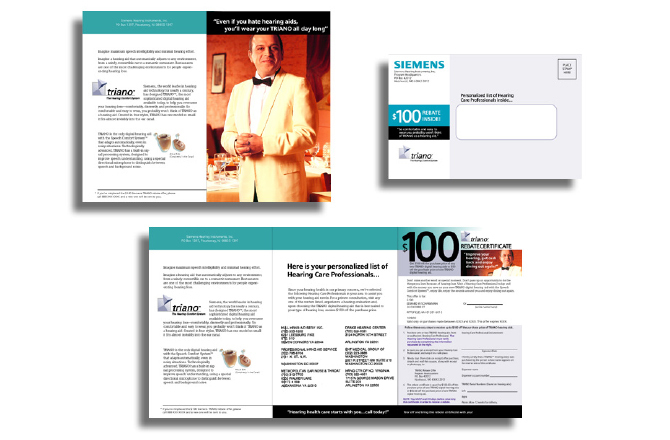 IMS used both its research and marketing capabilities to develop a marketing campaign that was one of the most successful ever for Siemens Hearing Instruments. Our research showed that dining out was a favorite activity of older adults, but, also the environment most difficult in which to hear. 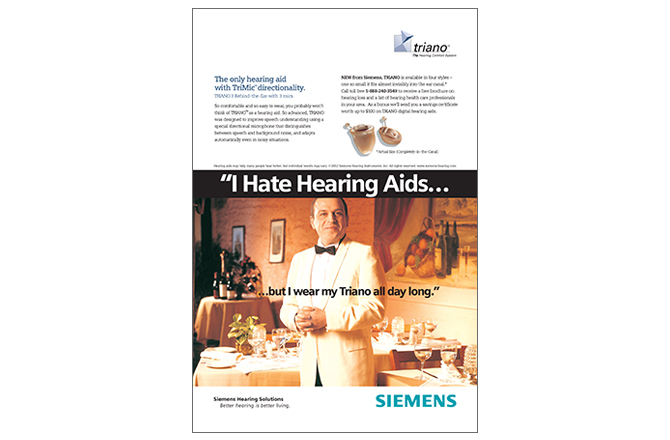 An integrated marketing campaign (print and digital) showed a confident-looking maitre-d proclaiming the Siemens message (I hate wearing hearing aids…) establishing Triano’s place in the market and differentiating it from competitive brands. Siemens return on investment was higher than any previous campaign.